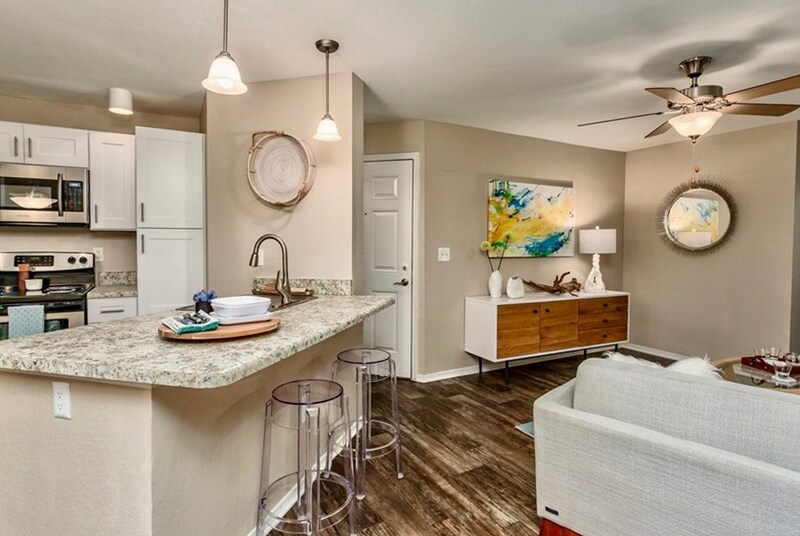 Live the lifestyle you deserve with recently renovated apartments at Fusion Apartments, a Northwest Orlando community where comfort, convenience, and beauty collide. Choose from spacious 2- or 3-bedroom floor plans with large walk-in closets, full-size washers and dryers, hardwood-style flooring, and designer lighting. After a long work week residents can enjoy a refreshing swim at the pool, a delicious BBQ at the grilling area, or a workout session at the state-of-the-art fitness center. Use the schedule a tour button to book your visit to Fusion Apartments to see if this eclectic, resort-style community could be your new home! Relax in style at the refreshing swimming pool or enjoy the beautiful Florida sun from the spacious sun deck with cabanas. Meet your fitness goals with 24-hour access to Fusion's state-of-the-art fitness center with a variety of equipment for a full body workout. Remarkable renovations are currently underway, including an indoor playground and clubhouse with big screen TVs and a gourmet community kitchen. Enjoy the outdoor lounge and grill lunch with friends for the perfect picnic. Spacious 2- and 3-bedroom floor plans with over-sized walk-in closets and master bedrooms with luxurious en suite bathrooms. 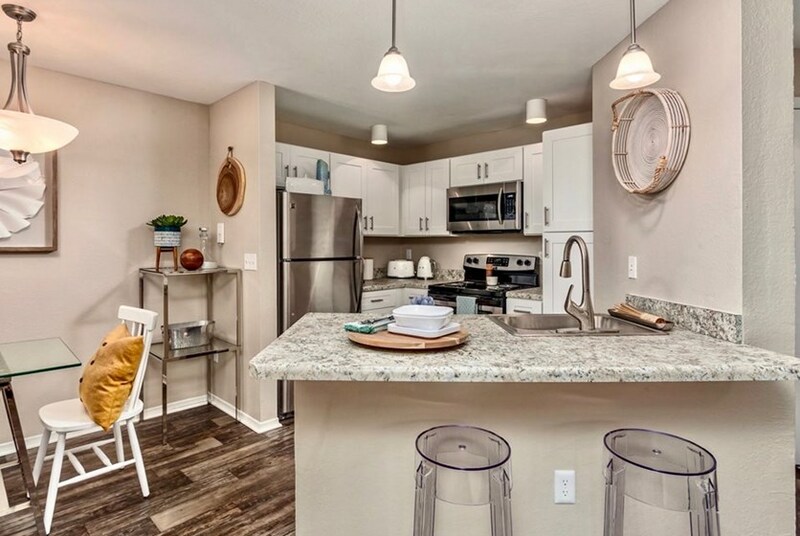 Newly renovated, chef-inspired kitchens come fully-equipped with stainless steel appliances, shaker white cabinetry, gooseneck faucets, and granite-style counter tops. Entertain in style - apartments feature an open-concept design ideal for hosting intimate gatherings and bonus solarium rooms that are perfect for a home office or kids play area. Designer features include modern lighting, wood-style flooring, plush carpet, and smart-key locking systems. Convenience is at your fingertips with full-size washers and dryers in every apartment home. We've sent your message off to Fusion Apartments. If you'd like to chat with the staff immediately, feel free to call them at (407) 512-9303. If you would like to chat with the Fusion Apartments staff before your tour, you can call them at (407) 512-9303. We're checking availability for you now! Someone from the leasing team will contact you shortly. Meanwhile, please feel free to call Fusion Apartments at (407) 512-9303.